As I hinted last time, you can see that I went in a completely different direction on my new project, Trick or Treat, designed by Barb Adams. For now I will just be calling it my baskets quilt. I started out looking online at reproduction shirtings, and somehow I ended up on Hawthorne Threads (my new favourite fabric website), looking at Heather Bailey's True Colors collection. I've had a green and grey colour scheme on my mind for over a year now, and this time it clicked. So I clicked too, and bought mostly this collection and a couple of other fabrics here and there to fill it in. I know some of y'all are looking at this with doubt in your heart, wondering if the whole thing is going to be too busy for words. I feel that doubt too, but I also have a really good feeling about the project, so it will be interesting to see how it develops! I do like how some of the baskets, like the top one, will be clearly outlined, while others, like the second one, will blend a little into the background. Because there is such strong repetition in the pattern, I think this will give an added dimension to the final result. Hopefully! The original pattern had a diamond cut out in the body of the basket. The diamond would be lost in the large prints on my fabrics, so I left that out. The pattern also has the basket handle and body cut separately, but I joined them in one template to preserve the continuity of the fabric design as much as possible. 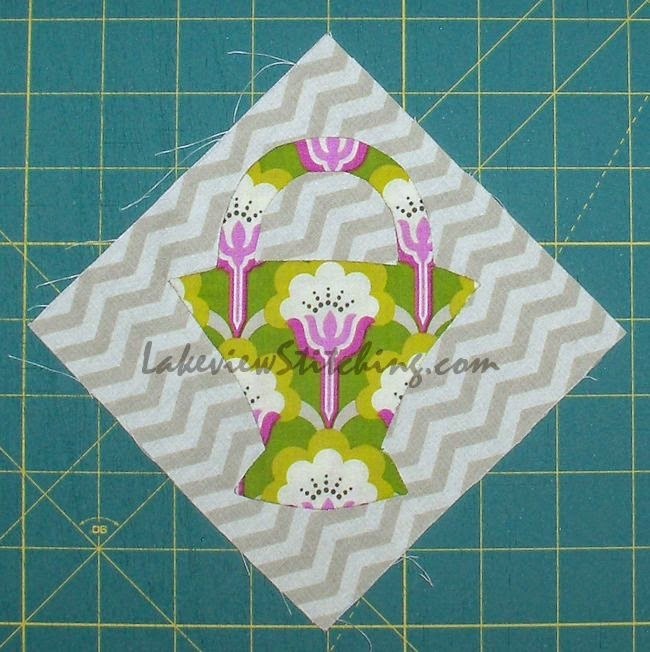 I thought about different applique techniques, and even cut out a bunch of freezer paper templates, but in the end I went with one template plastic template, and regular needleturn applique. Template plastic lets me position the template on the fabric to the best advantage. I was hoping to stitch the project with cotton thread, but when I searched through all my different thread boxes, this Kimono 100wt silk thread was the only one in the right colour. So that's what I used, and it's completely invisible, so I think I am committed to it now. It is a bit of nuisance to work with, but, you can't argue with the result! Previously I've stitched this silk thread with a #9 applique needle, but I found these longer #10 sharps from Clover, and they are working very well too. They are not as long as a milliner's needle, which I find awkward sometimes, but are still long enough to smooth out the seam allowances when needed. 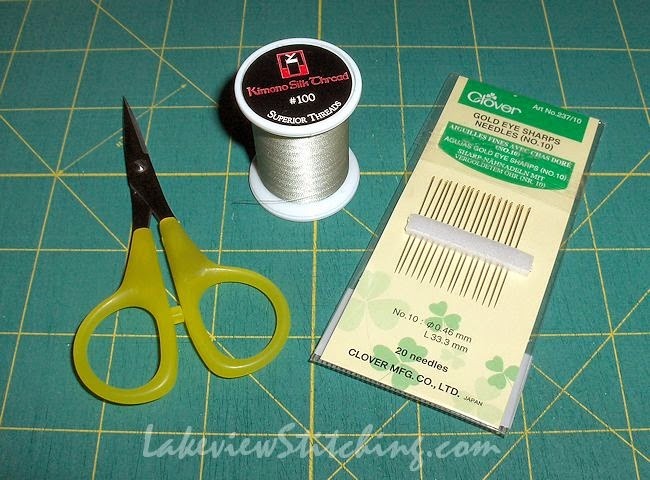 I'm sure I've said before how much I love Clover needles -- they are so sharp and smooth that you hardly feel them go through the fabric. The whole queen-size quilt calls for 313 of these 5" blocks. I am already considering a large lap quilt instead, which would still be 179 blocks. I have enough fabric either way, so I'll see how it goes! 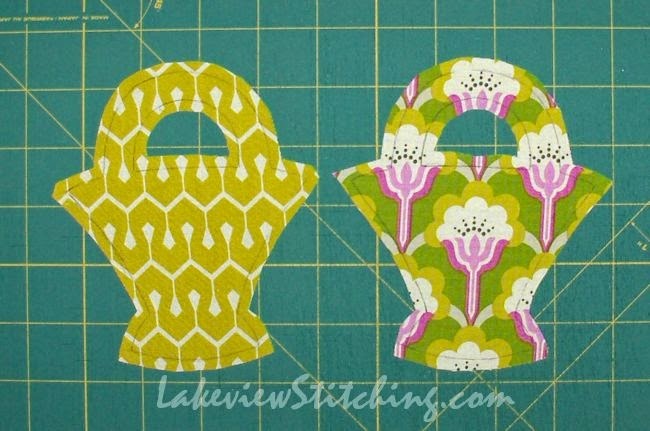 And, I'm linking up again with WIP Wednesday at The Needle and Thread Network. An awesome project! I love the fabrics you chose and I am now following your blog so I don't miss your progress. Have fun! fabulous colour palette! You've definitely got you work cut out for you, but it will be stunning! colours work so well together, wow you have lots of baskets to make can see why you are considering a lap quilt. 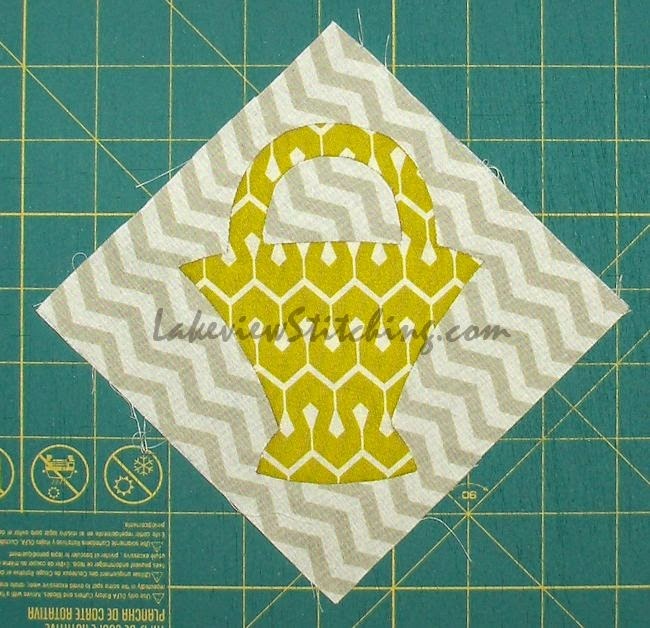 Love how you've redesigned the basket so that it works for your fabric! This is going to be incredible. I got a little weary of my baskets from time to time (making all 300+) but the love came rushing back after a short break every single time. These baskets make up very fast! Can't wait to see yours come together! Thanks, Audrey! My favourite part of the basket is the outline. For some reason I think it is just about the cutest thing. Barb Adams got the proportions just right. So I guess I kept the essentials, and adapted the rest! Thanks, Marsha! It makes two more inside corners, but I'm not doing the diamond, so I think it's a fair trade! Thanks, Jillian! But you know me, there will be a good shot of colour as well! Very modern fabric! I like that you have changed the pattern from two pieces to one too. Certainly a much better idea. I think it will look great together and you can always tone down the blocks if needed with sashing choices. Have you tried running your silk thread through some wax? Not sure if it would help or hinder the stitching process. Thanks, Katherine! The issue with the silk thread is that it is very fine and slippery, so it tends to fall off the needle, and it takes a little extra effort to make a secure knot. But there's no problem with snarling or fraying. I've been using it for Texas Star, so I'm pretty used to it by now. And even with my multicoloured fabrics, I'll be able to use the same light grey thread for everything because the silk is so hard to see. I'll have to re-stock soon!